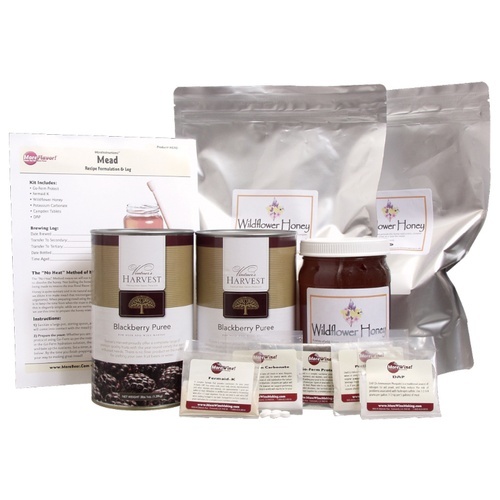 This Melomel kit features 15 lbs of our Wildflower Honey and 6 lbs of Blackberry puree. Blackberry puree adds a red color and slight bit of tannin to your mead resulting in a delicious dessert-wine like apertif. If you're feeling adventurous try adding an extra can of Raspberry Puree for an over the top Berry Melomel Mead experience! 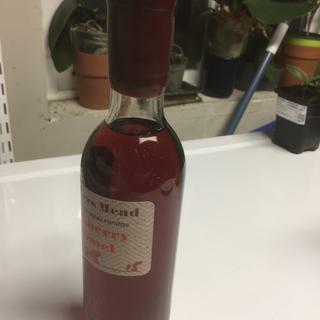 I have made many melomels, and blackberry is one of my favorites. what should the final gravity be? BEST ANSWER: It will depend on yeast and when you stop the fermentation (and potentially other factors). If using a yeast like DV-10 it should come out completely *dry* at 0.0 FG. While I have been making mead for many years I wanted to try a kit to see what other folks are using for methods. This was a terrific kit. Easy to follow the instructions, and the results were fantastic! I have a case that I have squirreled away for an extended time, but even after 4 months this has been very tasty (and strong)! Instructions very good, easy to follow for first time mead maker. Easy to make. Very pleased with outcome. The mead is dry, with a bitter, slight fruity flavor. Color is nice - deep translucent red. Tastes great on the rocks with a twist of lemon or lime. Makes a nice aperitif!